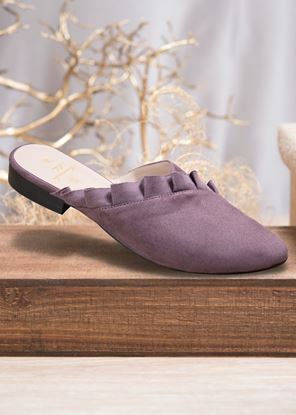 Ruffle detail creates a chic feminine look with these comfy sueded mules. 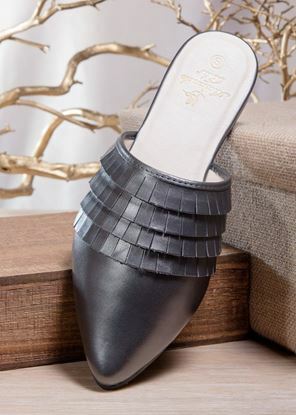 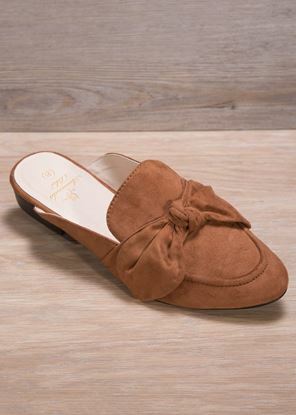 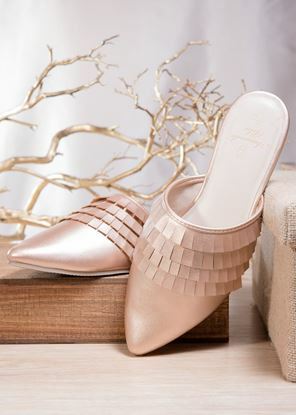 This sueded ballet flat with ankle tie is a timeless look that can be worn for seasons to come. 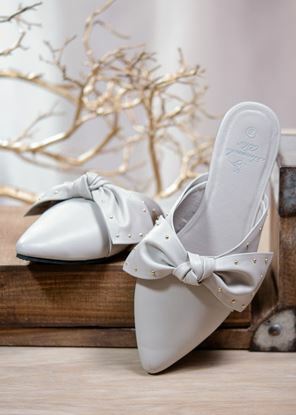 Tiny gold studs adorn the bow on these go-to mules for Fall. 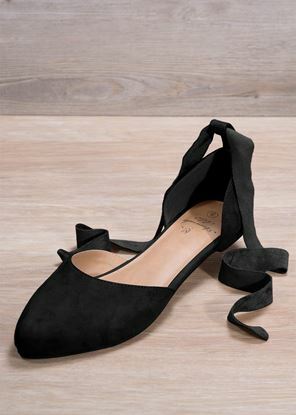 Our sueded bow mules feature an elegantly tied bow, and are a classic Fall look.